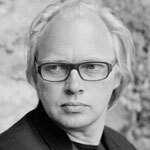 Since his début in 1981, Roland Pöntinen has performed with major orchestras throughout the world, collaborating with such eminent conductors as Esa-Pekka Salonen, Evgeny Svetlanov and Leif Segerstam. Highlights of his career include appearances with the Philharmonia Orchestra in Paris and London, with the Los Angeles Philharmonic Orchestra at the Hollywood Bowl as well as performances at the BBC Proms. With his insatiable musical appetite and stupendous technique, Roland Pöntinen has acquired a vast repertoire, and many composers have dedicated works to him. In great demand as a recitalist, he has appeared at prestigious festivals such as Schleswig-Holstein, La Roque d’Anthéron and the Verbier Festival. Pöntinen regularly works with distinguished chamber music partners including Ulf Wallin, Martin Fröst, Torleif Thedéen, Håkan Hardenberger and Christian Lindberg, as well as with Love Derwinger in a piano duo. With effect from 2018 he is artistic director of the Båstad Chamber Music Festival. With an extensive and wide-ranging discography on different labels, he made his first solo disc in 1984 on BIS, and appears on more than 60 discs in the label’s catalogue. Roland Pöntinen is a member of the Royal Swedish Academy of Music. For further information please visit Roland Pöntinen's website.